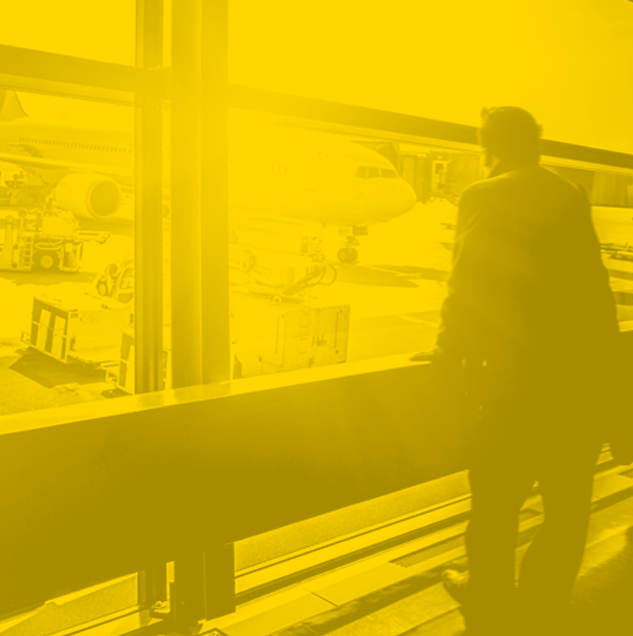 In the final instalment of our Asian hub connectivity series, we look at Bangkok’s Suvarnabhumi International Airport (BKK) and its distinguishing feature of using its strength as an international aviation hub to drive traffic for Thailand’s tourism market. 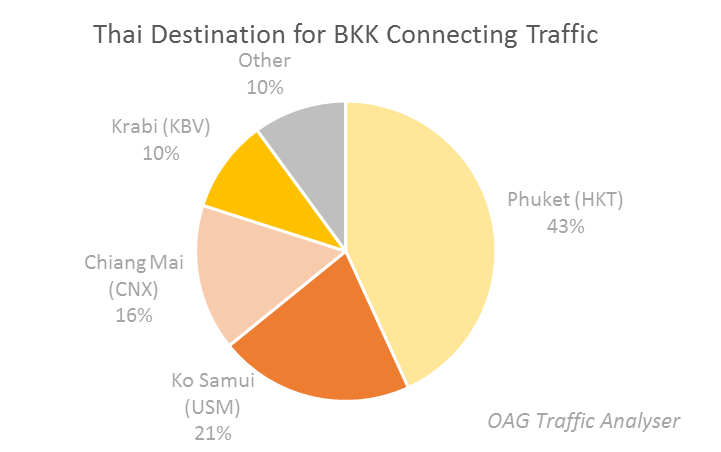 According to OAG Traffic Analyser, 52.7 million scheduled airline bookings operated in and out of BKK in the 12 months to February 2017, 11.5 million of which were passing through as they connected between flights. 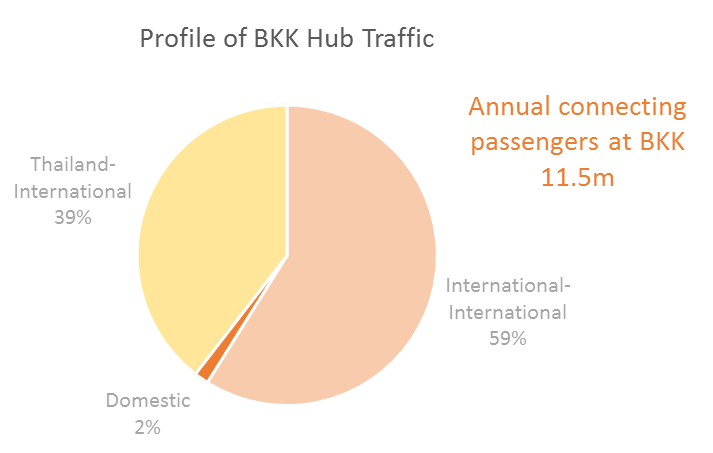 The proportion of hub traffic that uses BKK to connect between domestic flights is minimal, while 59% connects between international flights and the remaining 39% connect between an international and a domestic flight. 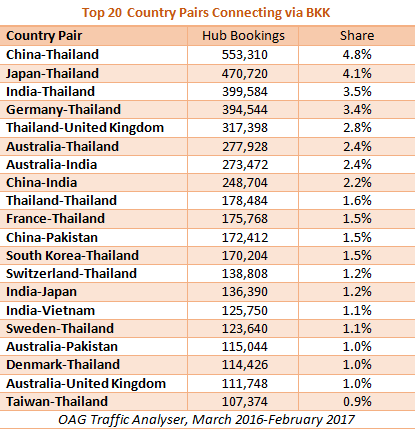 In the 12 months to February 2017, passengers travelled between 2,734 different country pairs via BKK, almost as many as Hong Kong achieves. The largest volumes are from China, Japan, India, Germany and the UK to and from Thailand. Each of these country pair routings succeeds in attracting over 300,000 passengers annually. The largest international-to-international passenger flows are between Australia and India, China and India, and China and Pakistan. For the 39% of passengers travelling via BKK to destinations in Thailand, four Thai airports account for 90% of traffic. These are the dominant tourist destinations of Phuket, Koh Samui, Chiang Mai and Krabi. 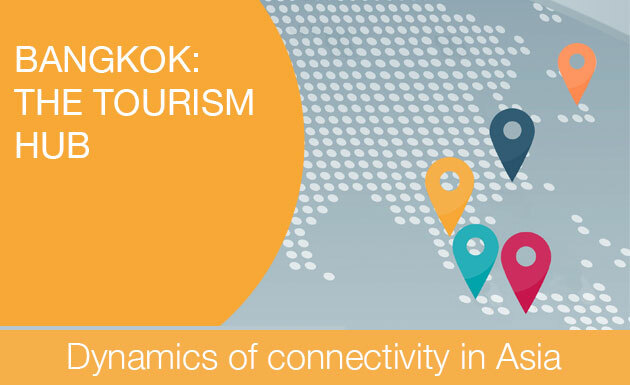 In total, over a third of all connecting passengers at BKK are headed to or from Thailand’s tourist hotspots. While this is great for BKK, there is a risk that if airlines choose to serve those destinations with new aircraft types, such as the A320neo which OAG identified as one of the drivers for change in its recent ‘Asia’s Catalysts’ report, it will make these ‘thinner’ routes more cost effective, bypassing BKK entirely. 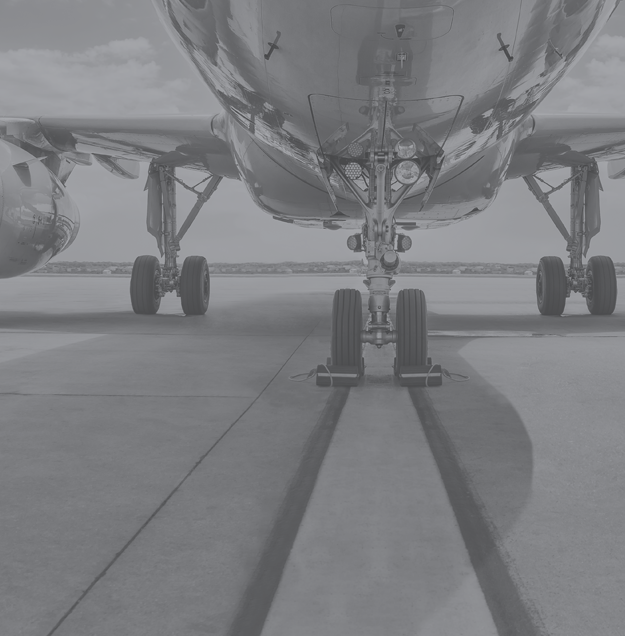 Check out previous posts of the Asia's Biggest Airports - Dynamics of Connectivity series.